The highly-decorated ex-Chelsea midfielder and the Spanish title-winning striker were at Manchester City's Carrington complex on Saturday to complete the internal formalities of their respective moves. Both deals are a huge statement of intent from City's US franchise which kicks off in the new Major League Soccer season next March. Lampard is understood to be have agreed to a basic wage significantly less than the £150,000-a-week that he picked up at Chelsea. 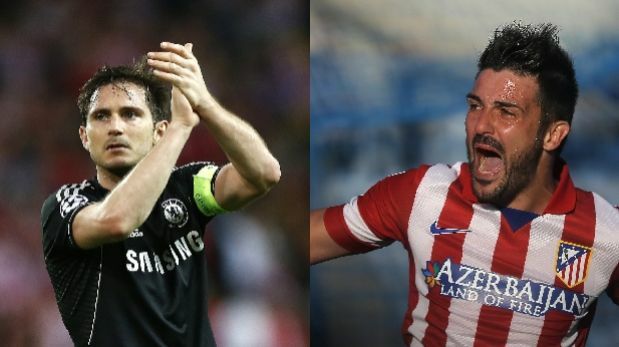 Oh man, I hoped Lampard would stay in Europe a few more years. Man, this is huge for US soccer. Great news for the MLS, bad news for my Toronto FC haha.